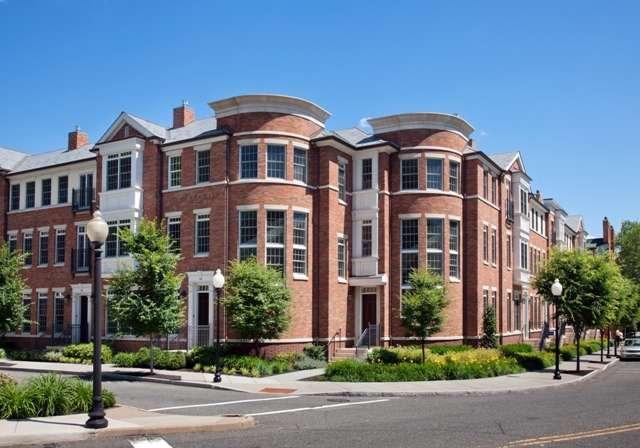 PRINCETON, NJ, June 26, 2013 – The recent completion of new construction activity at The Residences at Palmer Square has produced outstanding opportunities for buyers at the charming and picturesque community in the heart of downtown Princeton. The significant development work has resulted in the introduction of new, limited-edition townhomes and flats that are ready for immediate occupancy. The homes are located in the community’s first phase of residences which is comprised of 11 two- and three-bedroom townhomes ranging from 2,622 to 3,084 square feet, and 16 two- and three-bedroom flats ranging from 1,623 to 3,195 square feet. The townhomes are priced from $1,775,000 to $2,195,000, and the flats are priced from $1,230,000 to $2,555,000. The community’s first fully-furnished, single-level model home will also premiere this summer. The new model residence, along with an existing four-story townhome model, will give buyers a first-hand look at the inspired living spaces and unparalleled luxury, quality and design available at Palmer Square. Aside from placing residents in the center of Palmer Square’s dynamic shopping and dining options, the community’s residential promenades also link the homes to the rest of Princeton’s historic downtown, where residents can enjoy the city’s cherished suburban ambiance, award-winning schools, renowned university attributes, and world-class entertainment and cultural offerings. These include the first-rate productions of McCarter Theatre, as well as the Princeton University Art Museum, where works by Monet, Goya and many other prominent artists are exhibited. In addition, Princeton offers convenient commuter access to New York and Philadelphia. Princeton Station, with NJ TRANSIT service to Princeton Junction and beyond along the Northeast Corridor rail line, is a short walk from The Residences at Palmer Square, and the businesses and shopping venues of the nearby Route 1 corridor are within easy reach. Located on Paul Robeson Place between Chambers and Witherspoon Streets, The Residences at Palmer Square completes the vision begun by developer Edgar Palmer in 1937 to create a vibrant, European-style town square for Princeton that would include shops, restaurants and residences as a complement to Princeton University. Taking over where architect Thomas Stapleton’s original Colonial Revival style left off, Minno & Wasko Architects and Planners of Lambertville, NJ, has created a number of distinctive elevations which expertly complement the brick, Federal-style exteriors and Colonial-era structures of the immediate Palmer Square environment. Steel and concrete construction offers the highest level of quality and privacy, while terraces and balconies in many homes and lushly-landscaped promenades, courtyards and common areas offer desirable outdoor space. Custom interior features and appointments include private elevators and 10-foot first-floor ceiling heights in townhomes, nine-foot ceilings in condominiums, and tray ceilings in living and dining areas and master bedrooms. 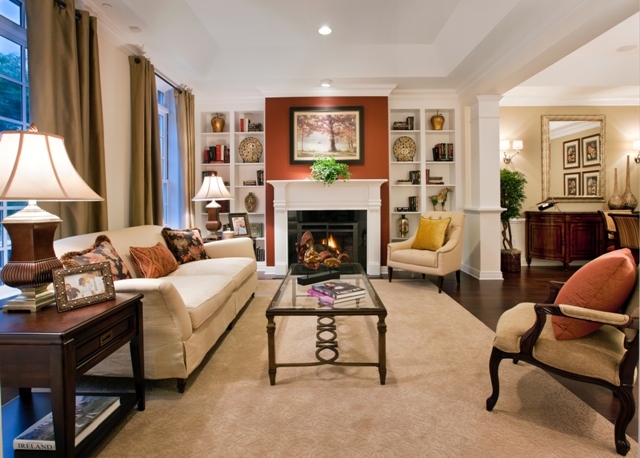 Extensive millwork, including striking fireplaces with marble hearths, pocket doors and elegant crown moldings, add style and elegance to the homes. Gourmet kitchens are notable for maple cabinets, granite countertops and Viking stainless steel appliance packages, while spa-like Master baths feature whirlpool tubs, double sinks, glass showers, and marble countertops. For additional information on The Residences at Palmer Square and to make a private appointment to view the residences, please call 609-924-3884, or visit www.palmersquareresidences.com. The sales center hours are 10-6pm Monday through Friday, and 11am-5pm on Saturday and Sunday. The sales center for The Residences at Palmer Square is located at 53 Hulfish St. in Princeton.